My name is Ethel Chadwick. 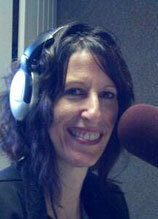 I’m a nice Jewish girl, and 20 years ago, the Lord opened the door to a radio ministry for me. 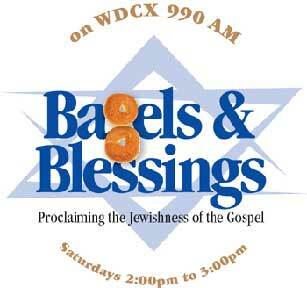 It’s called “Bagels and Blessings” and it’s now on Saturdays at 2:00 PM to 3 PM EST, on 990 AM, WDCX. I am on the air playing Messianic music, interviewing people about their faith, and giving away bagels and lots of prizes. A little bit about me: I grew up in a Jewish family in Richmond, Virginia. I went to Hebrew school for five years and occasionally to Synagogue with my family. I was always attracted to the occult and astrology, as I was searching for the meaning of life. (I later read Deuteronomy Chapter 18 and realized that involvement in the occult/astrology is against God’s law, so I repented and never went back to it.) In college, some friends gave me a tract about Jesus, but I was offended and confused. I even sang “Handel’s Messiah” without knowing what it was about. Later when I was married and living in Rochester, New York, I met a lady who shared the Scriptures with me, and I got up the nerve to read the New Testament for the first time. I saw that it wasn’t offensive to Judaism and I learned the the disciples were Jewish and that the Last Supper was a Passover Seder celebration. When I read Isaiah Chapter 53 and Jeremiah Chapter 31, Verse 31 from the Jewish Bible, I realized that Yeshua (Jesus) was THE Messiah! So in July of 1976 I invited Him into my heart and it’s been a glorious and wonderful journey ever since!! There is a lot more to tell and I have CDs with the “rest of the story.” if you are interested in receiving a copy, please email me with your request.